Bird hunting and Michigan go together like coffee and cream. It’s no surprise, then, that Michigan pheasant farms have long been known for their fantastic shooting opportunities. The connection means many people think pheasant hunting in Michigan has always been a feature of life in the state. With that in mind, it may come as a shock to discover the pheasant isn’t native to Michigan. In fact, it isn’t even native to North America. Pheasants are only indigenous to Asia, and several races (or types) are found in different regions, from Myanmar to Siberia. In Roman times, however, trading with Eastern nations led to the bird being brought to Britain and mainland Europe. It was in the British Isles that the pheasant was first celebrated as a delicacy rather than as a game bird. 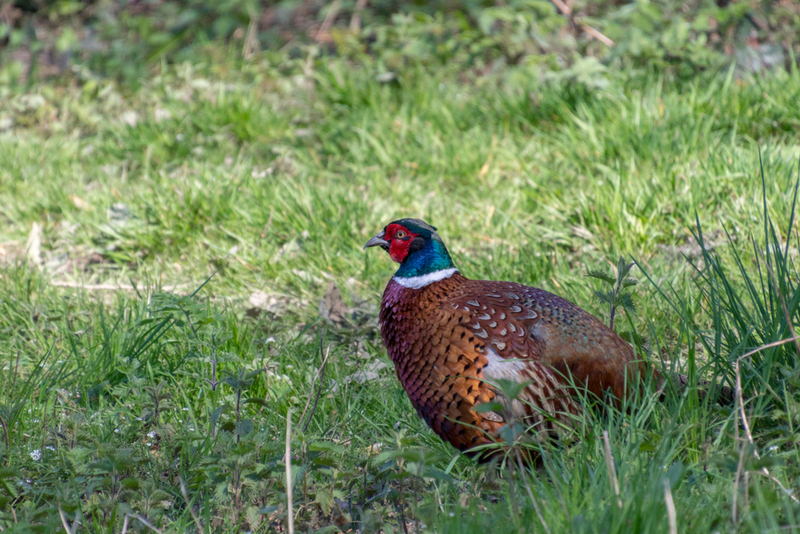 Its popularity as an ingredient in many dishes led to the Romans transporting pheasants around with them. Pheasants are part of the Galliformes order, a class of birds that includes turkeys, grouse, peacocks, and chickens. All these species are not only tasty to eat, but the males are also colorful and attractive. This meant that even from the earliest times, these birds were kept as ornaments for large estates. The pheasant’s wild spirit, however, led to plenty of successful escape attempts from their captivity. They, then, learned to adapt to their new environment and breed. When firearms were first introduced for hunting purposes, pheasants earned their status as one of the most attractive game birds. In Colonial America, there were several attempts to bring pheasants over from England and establish them in the New World. These were ultimately unsuccessful. However, over a century later, in 1881, would-be hunters in the United States saw a change in their fortunes. The former U.S. ambassador to China had found he enjoyed the taste of pheasant while overseas, so he shipped several to Oregon. The habitat must have suited the birds better since they thrived in the Pacific Northwestern state. So, it was in Oregon, not Michigan, that America’s first pheasant season was held in 1889. The total number of birds harvested on just its opening day amounted to more than 50,000. The habitat in southern Michigan was ideal for pheasants. With fewer predators, more of the fowl survived and became wild pheasants. The first pheasant season in the state was held in 1925 and led to a surge in popularity for pheasant hunting. Michigan become known as a top spot for quality hunting in the entire country. Today, Pine Hill Sportsman’s Club is proud to be part of this long and illustrious tradition of pheasant hunting. We take pride in offering an outstanding experience based on knowledge and expertise and offer fine upland bird hunting in Michigan. Whether you’re an experienced hunter or just trying out hunting for the first time, we can help to make sure that you have an experience unlike any other. Contact us today about arranging the right package for you.